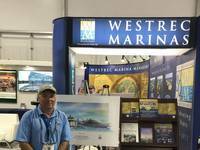 Glomex Marine Antennas USA has enhanced its Internet antenna with a professional model. Its weBBoat 4G PRO features commercial-grade construction and components, including an upgraded router and advanced software, and comes with a five-year warranty. The weBBoat 4G PRO receives 4G/3G and Wi-Fi signals up to 20 miles away, and amplifies and redistributes them throughout the vessel via a hotspot or Ethernet. Dual SIM card slots and 4G diversity wideband antennas combine with a high-performance 3G/4G router to provide simultaneous Internet access for up to 32 devices, including networked on-board systems. 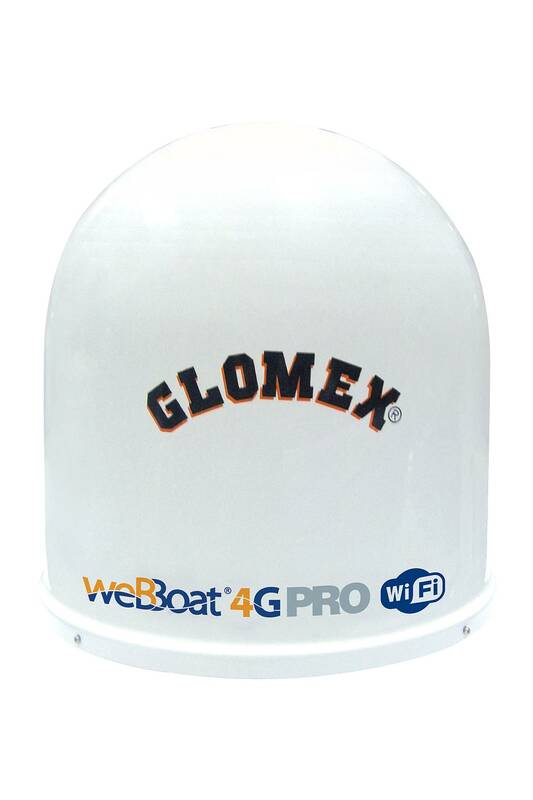 Performance of the Glomex weBBoat 4G PRO is equivalent to what users typically find in a residential environment. In 4G/LTE mode, download speed is up to 100 Mbps and upload, 50 Mbps. Built for a harsh environment, the weBBoat 4G PRO is rated for wind speeds up to 134 mph, and maintains operation between -4° F and 158° F, with up to 95 percent non-condensing humidity. It has a reinforced stainless steel platform with shock-resistant closure and housing. The 12" W x 14" H radome is made from an advanced stress crack- and UV-resistant thermoplastic, and weighs a mere 4.9 lbs. The weBBoat 4G PRO's powerful software delivers advanced functionality and configuration, allowing for total onboard customization. It provides access to SIM card status and switching, IP configuration, firmware upgrades and easy password changes. 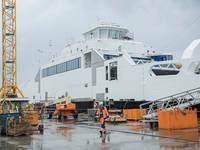 Installation of the Glomex weBBoat 4G PRO is straightforward. It's powered by 24V DC with a single lead and is plug-and-play. Glomex Marine Antennas' weBBoat 4G PRO has an MSRP of $1,395.